We've taken thick, New York-style cheesecake and hand-swirled raspberry fruit filling into the top for a dessert creation you won't want to miss. 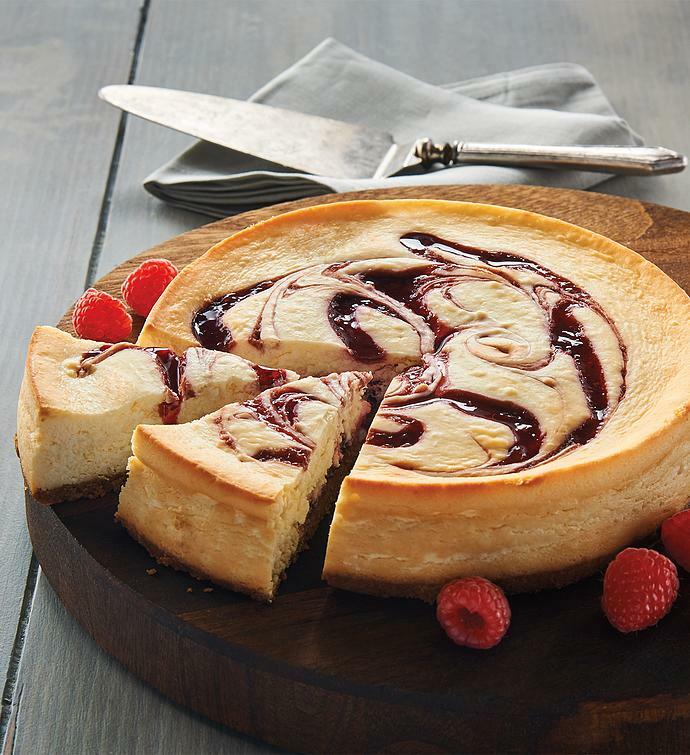 This delectable cheesecake, crafted right here in our own bakery, is made with rich cream cheese, fresh eggs, and sour cream and is finished with a hint of lemon. Set atop a graham cracker crust, it's the perfect dessert to savor alone or to share.